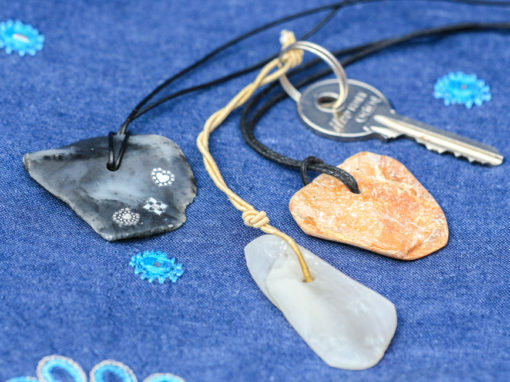 In jewelry workshops we make jewelry from stone and leather. We examine and use different materials and techniques. Workshops are suitable as for children as for adults.